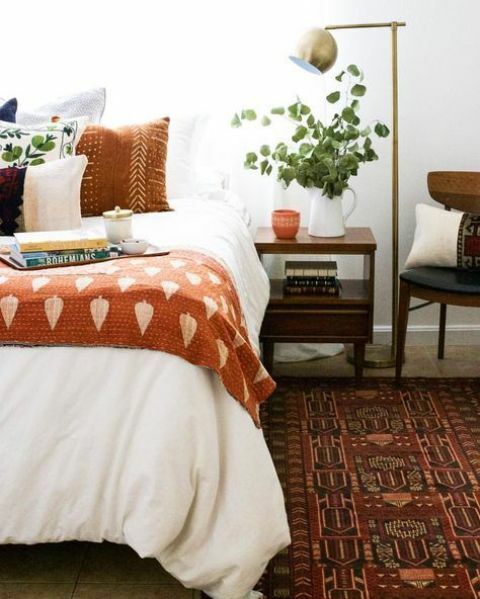 Fall is here and it’s high time to add some bold fall touches to your home decor. 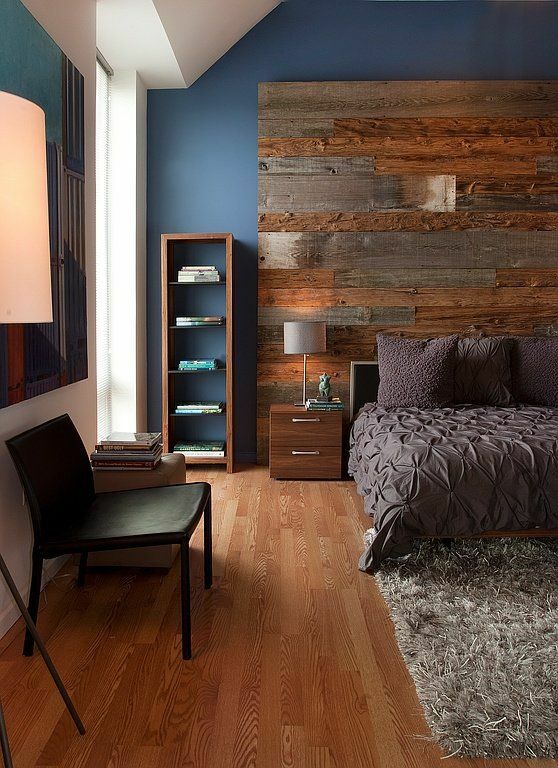 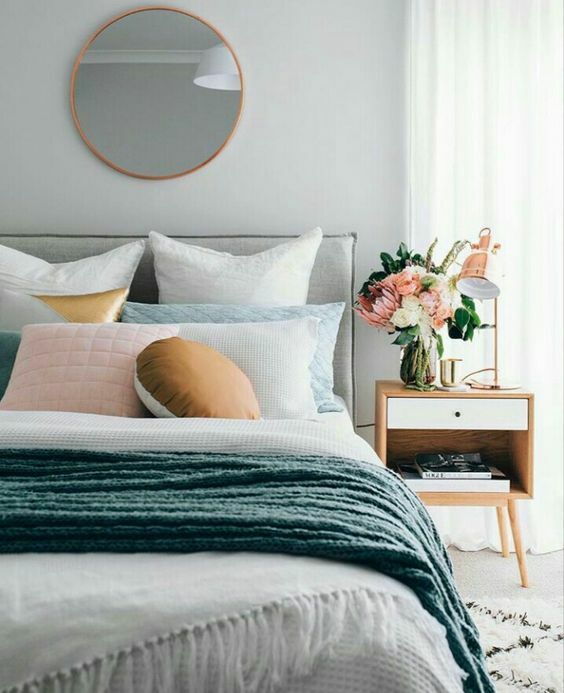 Your bedroom is the first space, which you should change because here you go to sleep and wake up and it creates your mood. 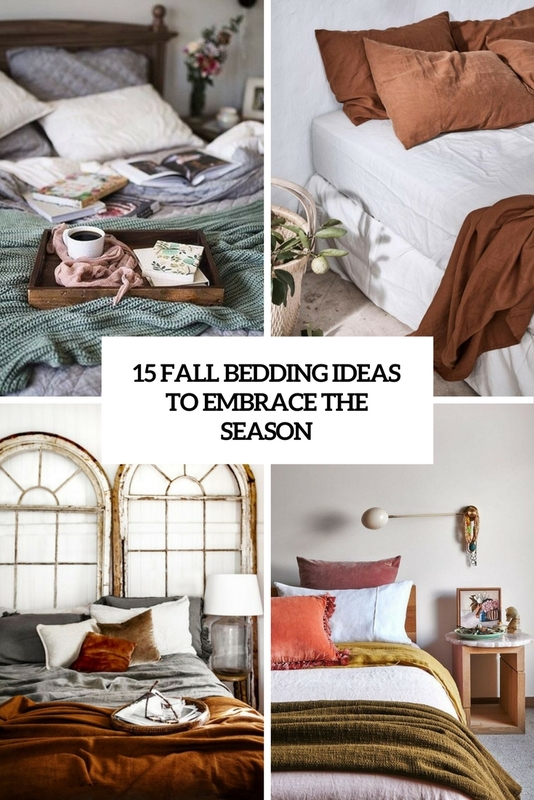 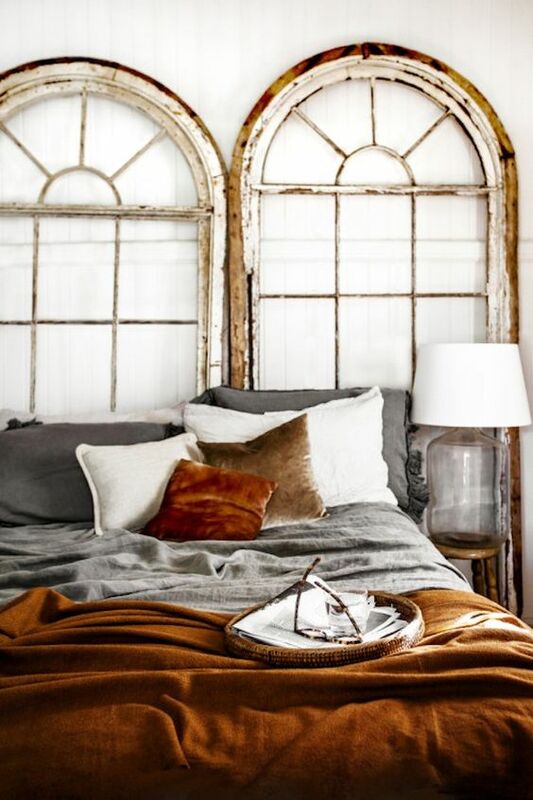 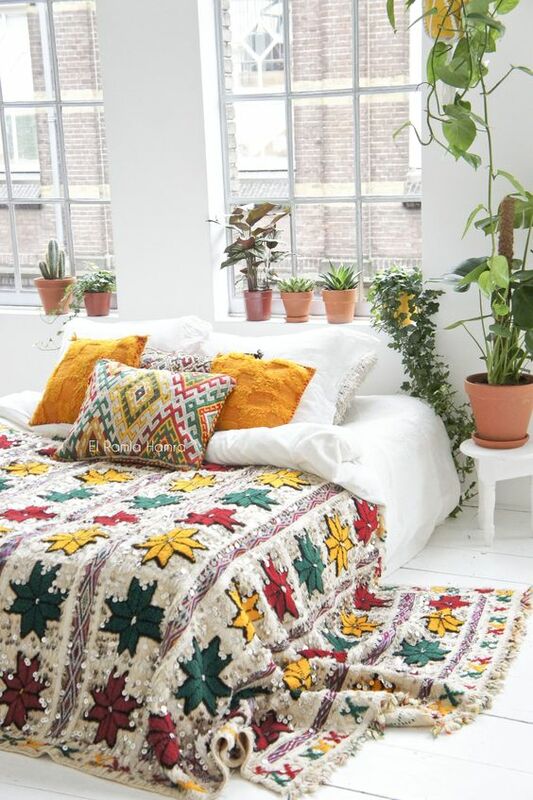 The easiest and cheapest idea to add fall colors to your bedroom is to rock some fall bedding, and here are some cool ideas. 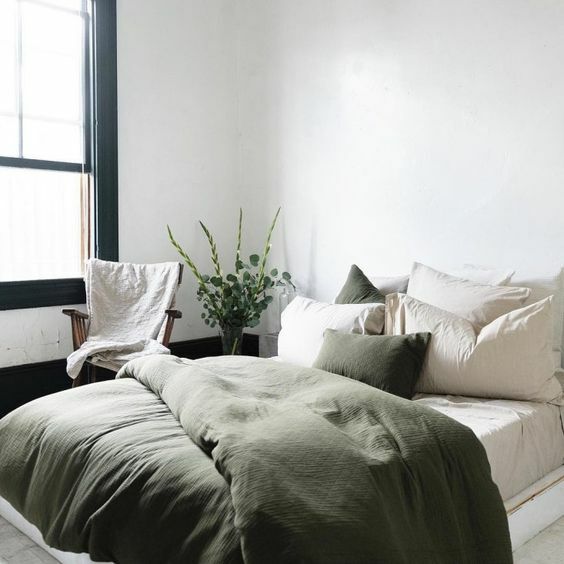 Greens are natural, and if you want to add a fall feel to your space, choose olive green, dark green and emerald for a bold look. 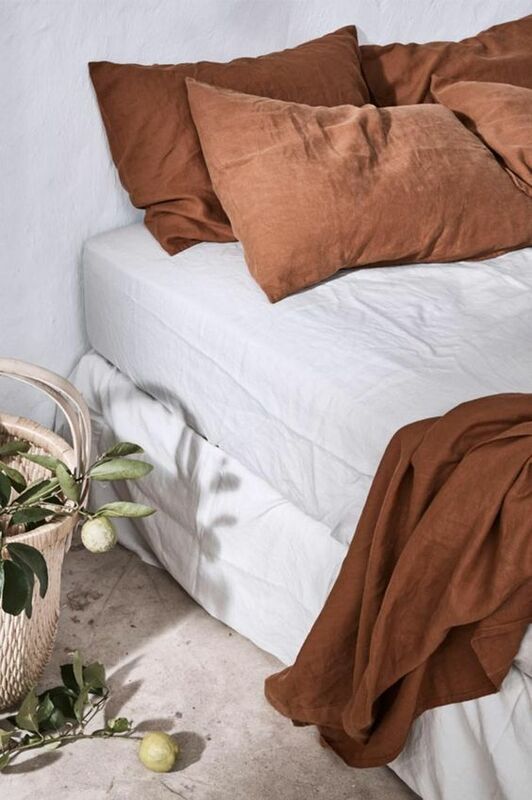 Textural linens are the best ones, and you can create a bold contrast with whites. 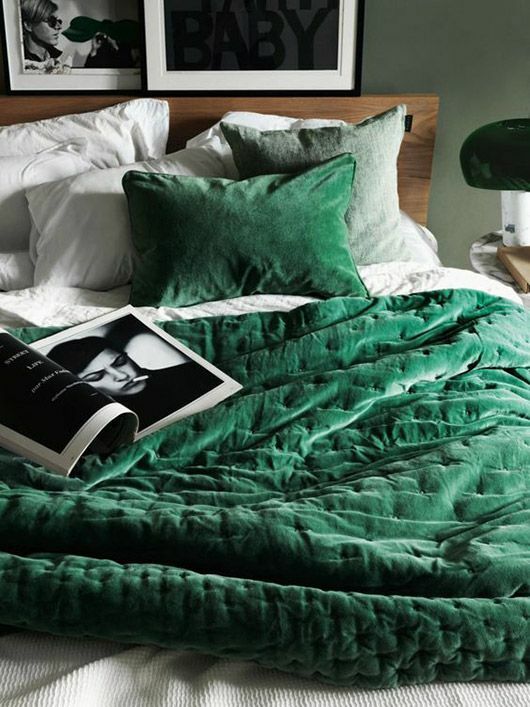 Velvet is welcome – it’s soft, comfy, warm and is the hottest wedding trend. 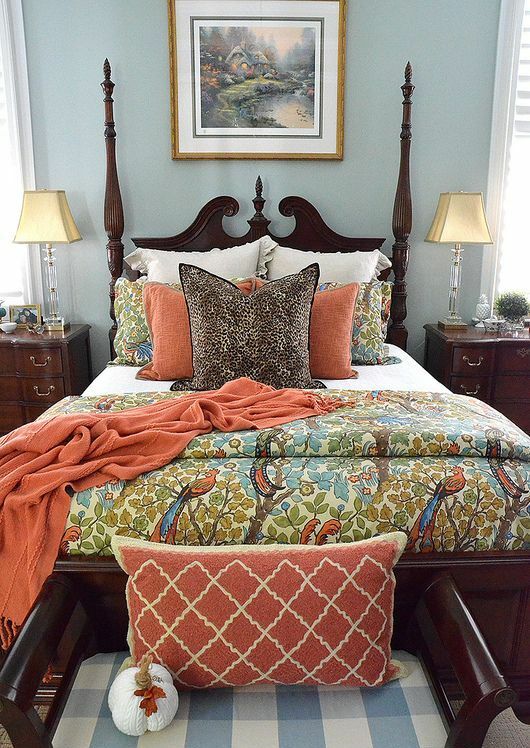 Orange is another popular fall color, and if you think it’s too bold, opt for elegant burnt orange. 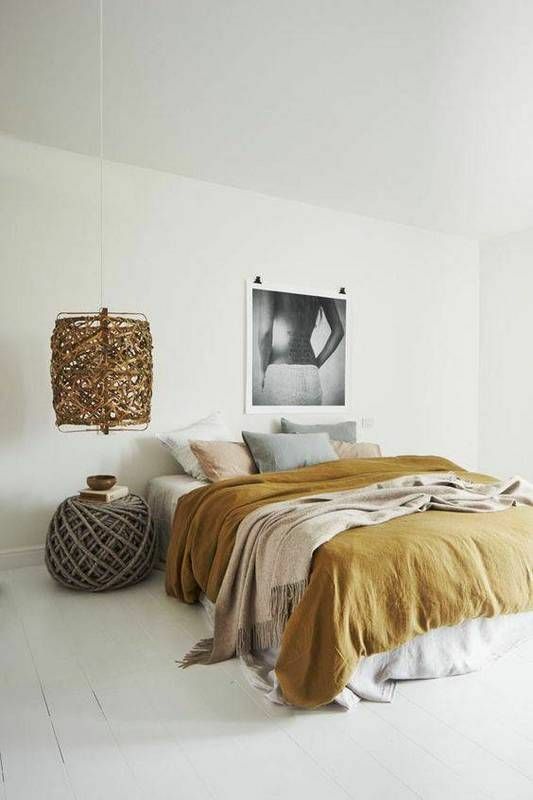 It can be a blanket, some pillows, a bedspread and they will stand out in whites. 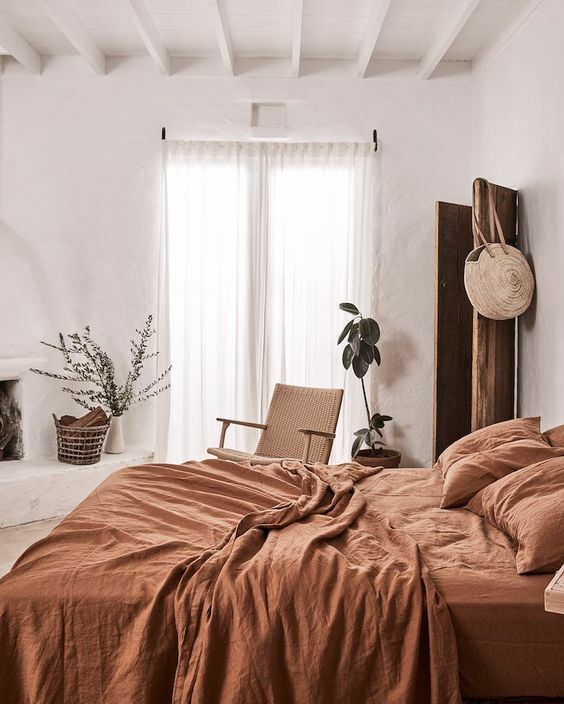 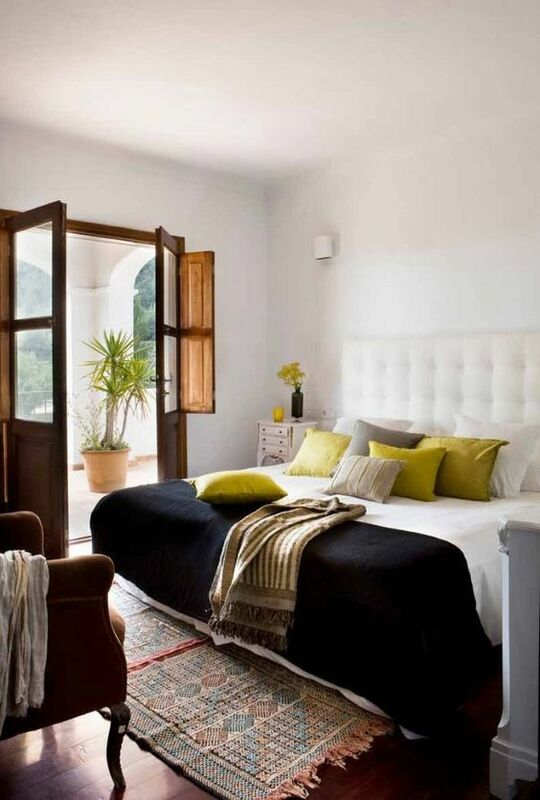 You can also go for a whole bedding set in burnt orange, this warm color looks welcoming and you’ll feel warmer. 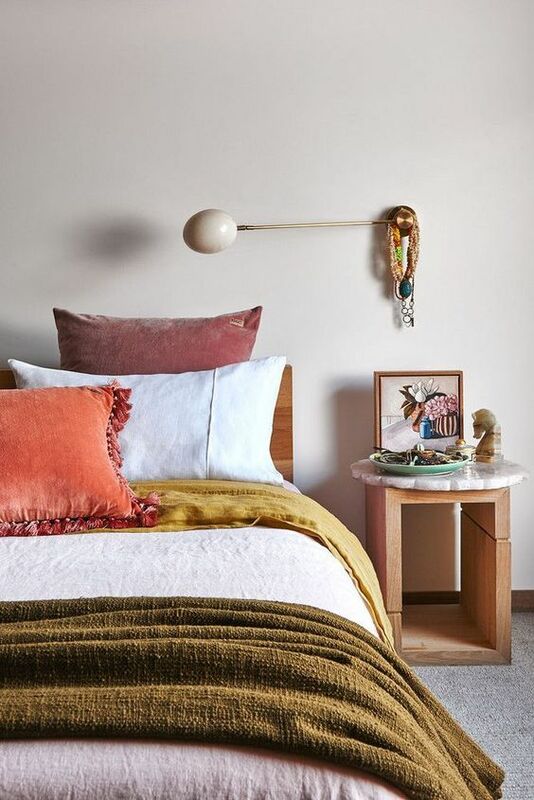 Create a bold mix of various fall shades: olive green, greys, beige, creamy shades, yellow, mustard, burnt orange, black and aubergine, neon shades are welcome too! 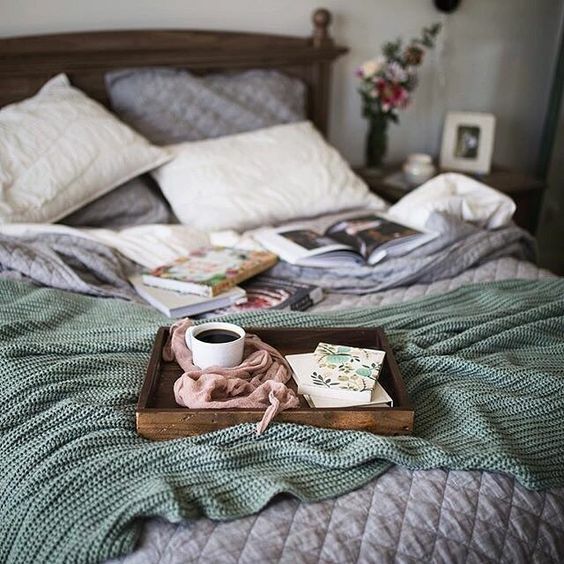 Look how to mix them right in the pictures below.